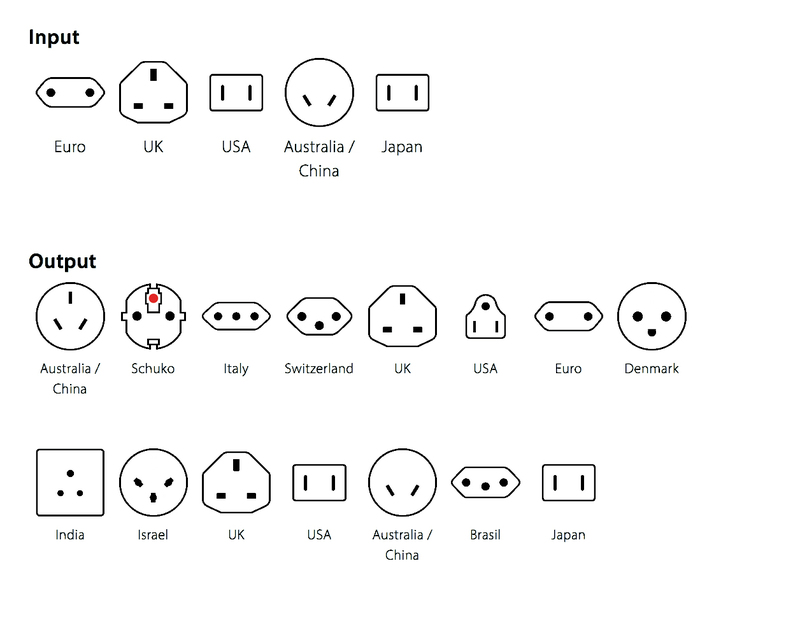 All-in-one world travel adapter with UK/EU/US/AUS plugs works in worldwide, overs more than 150 countries. 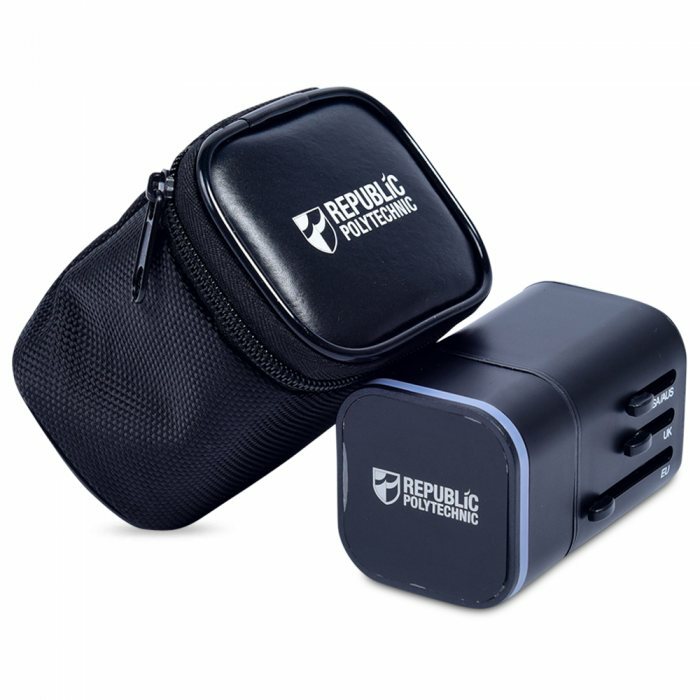 Dual USB ports charger with US/AUS plug allows for charging of your USB enabled devices during your travels, MP3 players, digital cameras, cell phones, speakers, etc. 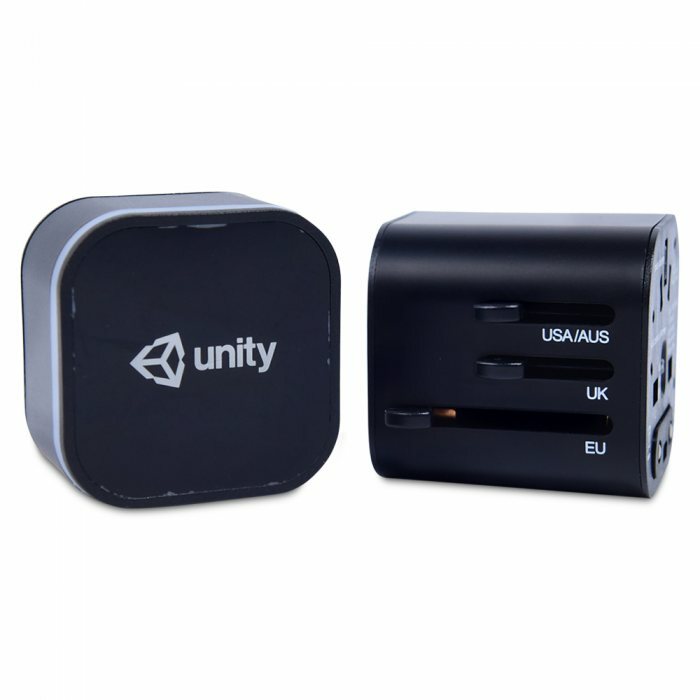 Dual USB ports charger can be used in two ways, all alone or with the combination of AC adapter. When plugged into the mains, the inbuilt white LED light will be turned on. • Output 3.1A Max - Unlike most 0.5A and 1A USB adaptors. This enables fast charging on devices such as tablets and mobile phones. 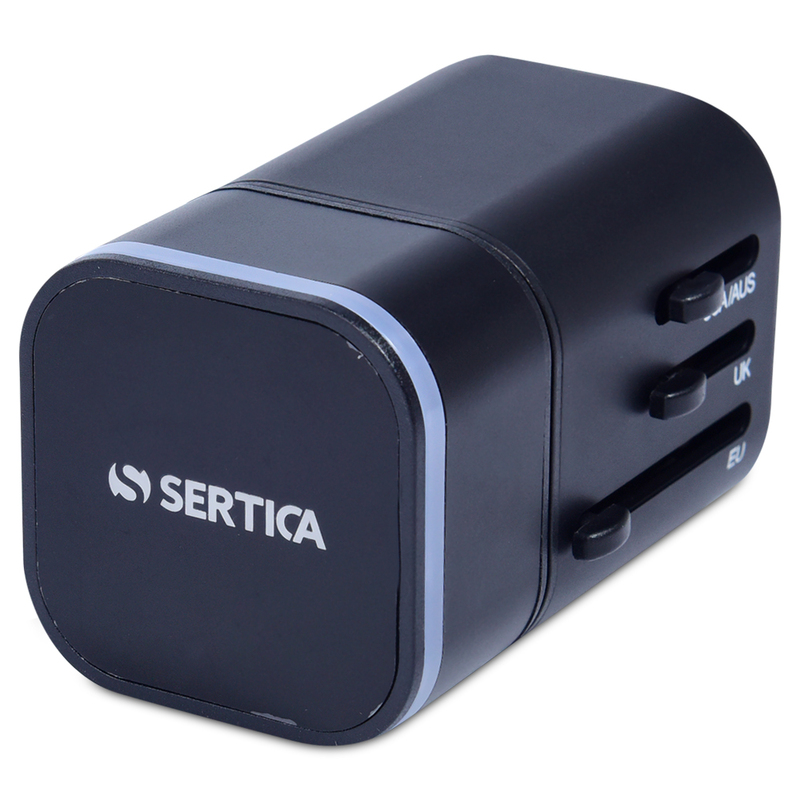 Devices can draw sufficient power from this adaptor and charge quickly and efficiently. Logo looks really good when it's lit up. The toggles can be hard to get used to at the start though. Nice travel adapter with light on the logo when connected to power. Items are packaged in good order.